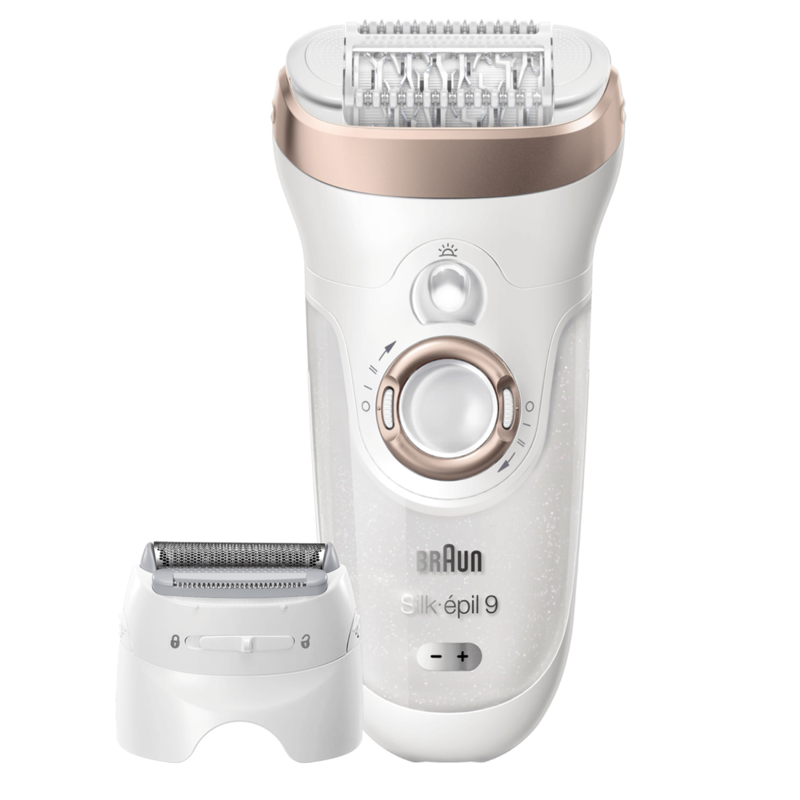 Braun Silk-épil 9 epilator is our fastest and most precise epilator, providing up to 4 weeks of salon-smooth skin. 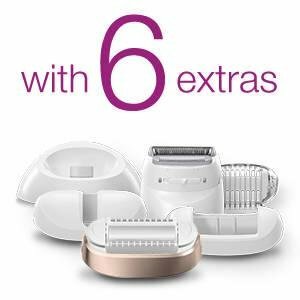 In addition to Braun's best Wet & Dry epilator, the set includes 6 extras for full flexibility in your at-home hair removal regime. 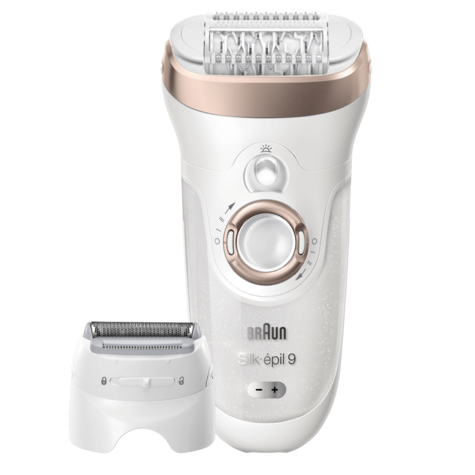 Featuring a 40% wider head, the Braun Silk-épil 9 epilator is the new standard in epilation. Braun’s revolutionary MicroGrip Tweezer technology removes hair 4x shorter than wax can catch (0.5mm), to give you beautiful, salon-smooth results that last up to 4 weeks. 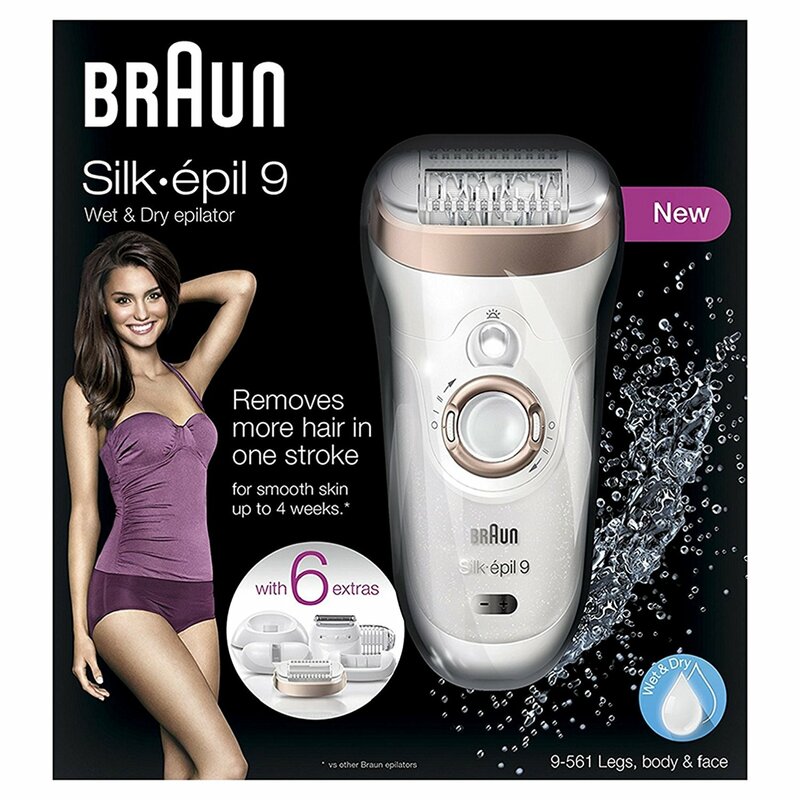 The Braun Silk-épil 9 epilator includes 6 extras for flexibility in your hair removal regime. 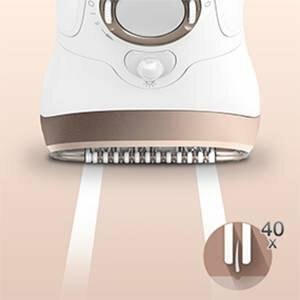 An efficiency cap creates maximum skin contact for fewer missed hairs, while the precision cap can be used for easy epilation in smaller areas. 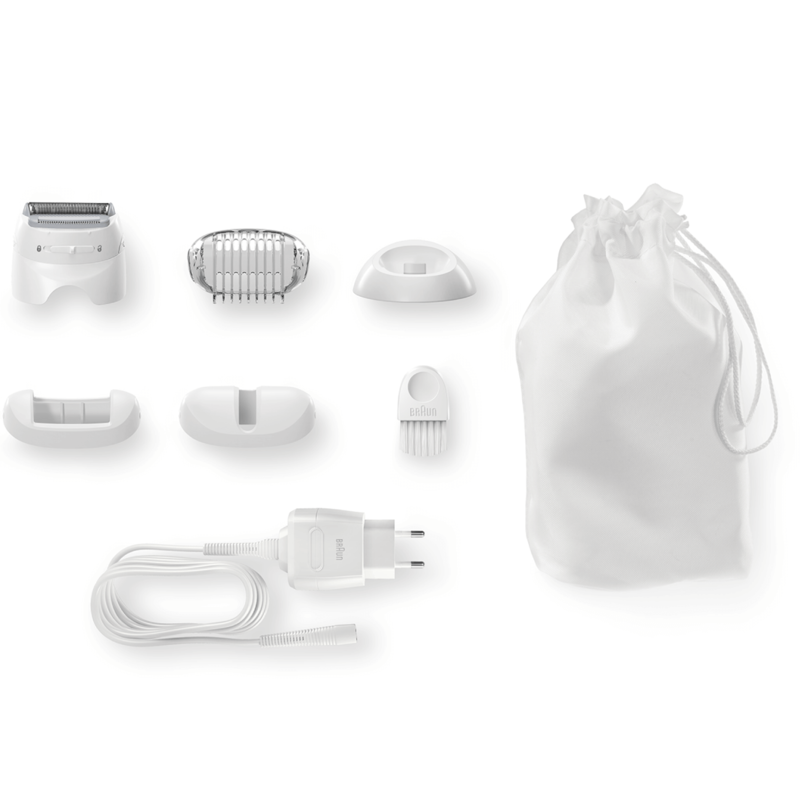 A shaver head and trimmer cap turn your epilator into a fully functional electric shaver. 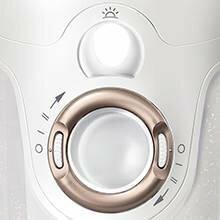 A charging stand ensures your epilator is always ready to go. The Braun Silk-épil 9 epilator works in the bath or shower. 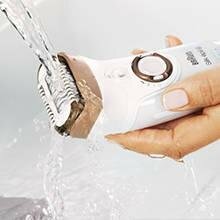 With regular use in water, epilation becomes virtually painless. 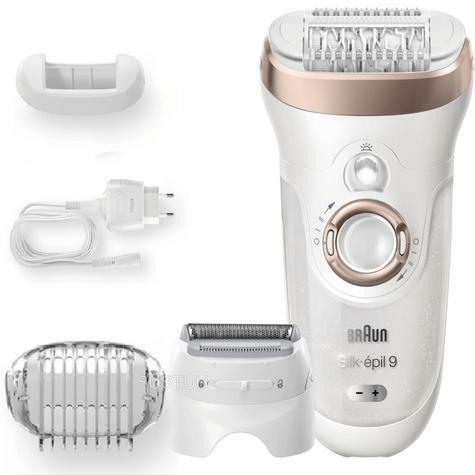 Active vibrations provide an extra gentle skin sensation during epilation to reduce discomfort. 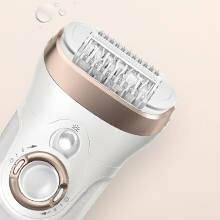 The epilator head smoothly adapts to every contour for superior comfort and efficiency, even in difficult areas like the knee and underarm. 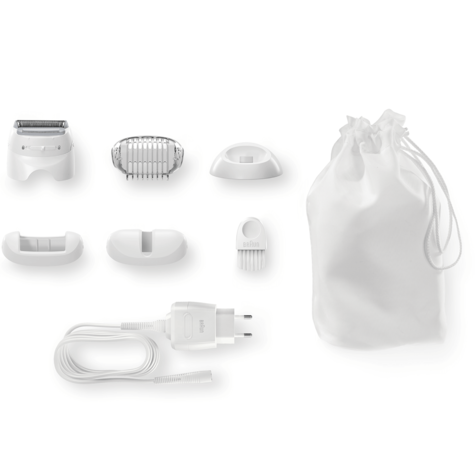 A smartlight reveals even the finest hairs for extra thorough hair removal.